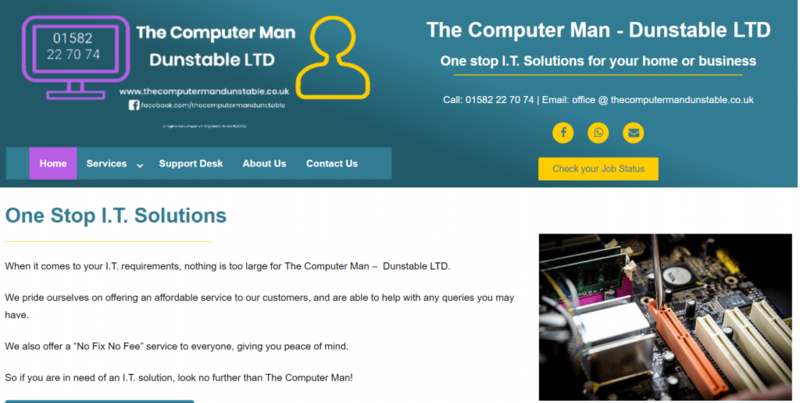 The Computer Man Dunstable LTD was a great website to work on. Right from the off, Quillations had a great insight in to how our customer would like their website to look. Incorporating the companies colour scheme in to all aspects of the website was easy. We customised everything from the correct shading on the background, to the yellow on the social media tabs. We also created a separate support desk page which links direct to their Fresh Desk account. Working together, we created a fast and functional website to help grow the companies brand. The results shown above for the Desktop are brilliant – if I do say so myself. Although the results for the Mobile are only average, this is still an excellent result. Google use something called “next gen” images. If you don’t use these, they mark you down. However, these are not necessary for websites. It is also due to Render Blocking resources – which show up worse on Mobile – but these are nothing to worry about. So in order to compare our results, I typed in “Website Designers” in Google, and found Web Creation UK who shows on the first page. I selected the first website on their portfolio, and found Formosa Kitchens. This company also charges more than Quillations Website Packages for a comparative design. Although there is no getting away from the fact that the website looks fantastic, the speed is what counts to Google. Fantastic looking websites are great – but you should never judge a book by its’ cover. Always run the same check that Quillations runs when it comes to website designers portfolios. There is no point in having an amazing looking website, if Google doesn’t like it!